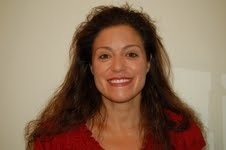 Lucia Caron has more than 20 years of experience in the IT industry, focusing on product and technical support, operations analysis, due diligence, managing rapid technical change, process design and implementation, customer experience, and aligning IT solutions to corporate business needs. Lucia is a results-driven leader, applying effective and innovative management principles to improve technology support operations. Currently, she oversees product support teams at Verint Systems. Lucia received her PhD in management and organizational leadership, specializing in information systems and technology. She served four years on the HDI Desktop Advisory Board and has been a judge for the Stevie Awards for Sales and Customer Service. She's also volunteers her time in outreach programs for young people, programs related to education and technology, and advocacy programs for youth, women, and minorities.